The Carlsbad Village Association is pleased to be hosting an afternoon of free, family fun for goblins, ghouls, and princesses of all ages at Halloween in the Village! 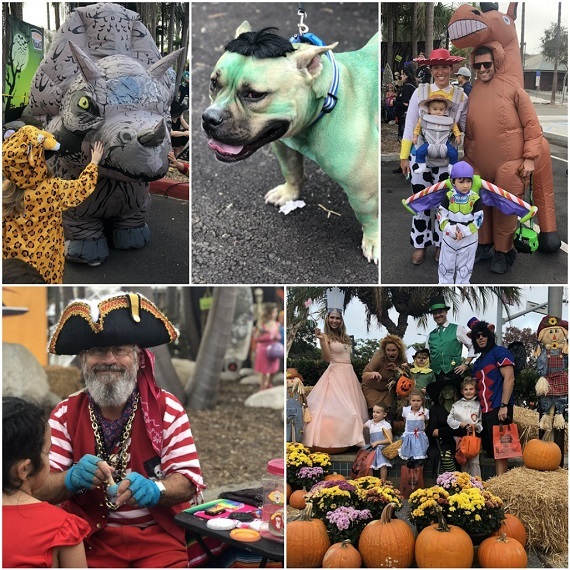 Join us in downtown Carlsbad for a variety of entertaining activities, including exciting games by the Boys and Girls Club of Carlsbad Village, arts and craft fun, a Doggie Costume Contest, safe Trick-or-Treating throughout the Village at participating businesses, and more. The first 500 participants will get a free Trick-or-Treat bag for their goodies. Save the date and plan to join us for great fun in the Village!